The adorable minions from the Despicable Me movies are coming back to theaters in their very own full-length animated film, "Minions." A new sneak peek trailer shows the origins of the little yellow henchmen, and follows them on an adventure to New York city in 1968. Will the minions find a new master to serve? You will have to watch the movie to find out! Check out the "Minions Take Manhattan" trailer below to learn more. 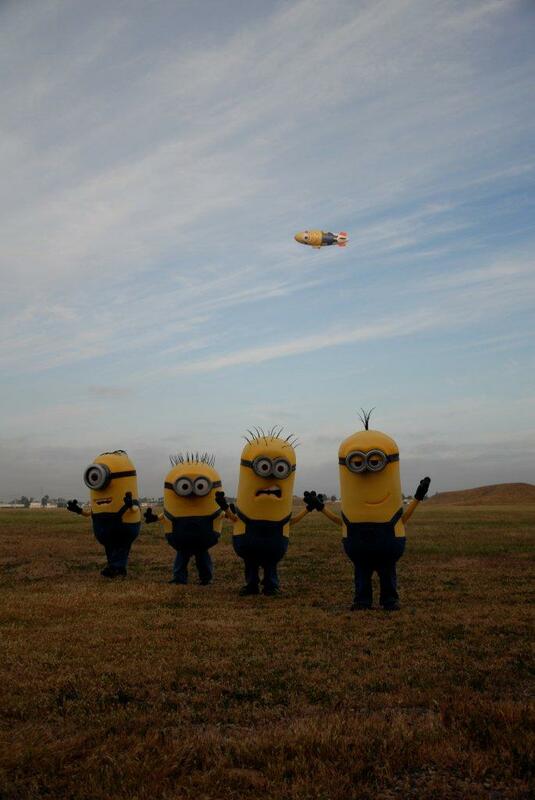 In honor of the new movie, we put together a special throwback Thursday (#TBT) post highlighting the Despicablimp. This A-150 dirigible is one of the largest blimps in the world, spanning 165 feet in length, or half of a football field. 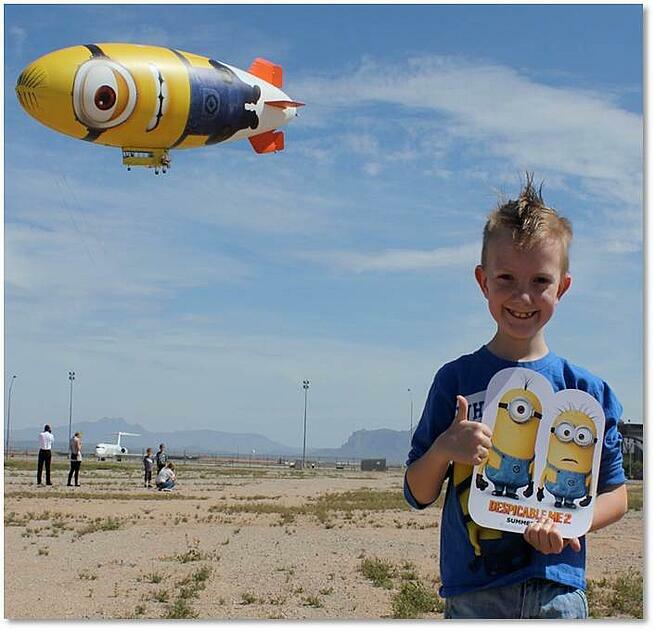 It took to the skies to promote the minion's last movie, Despicable Me 2, and captured the imagination of children (and adults!) across the country. 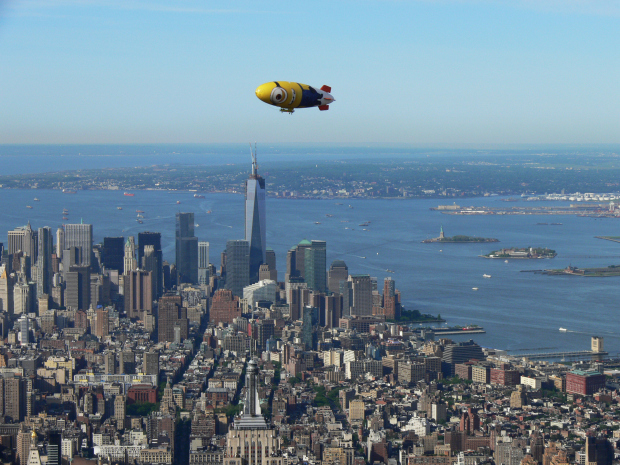 The Despicablimp's tour across the United States included stops in majors cities and flights over notable events including the Kid's Choice Awards, the Kentucky Derby, and The Top Of The Rock (Rockefeller Center) for the Today Show. 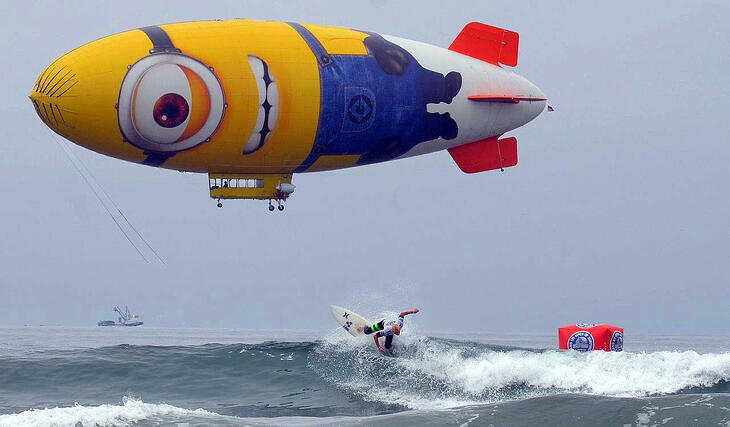 The blimp campaign was wildly successful for Universal Studios. 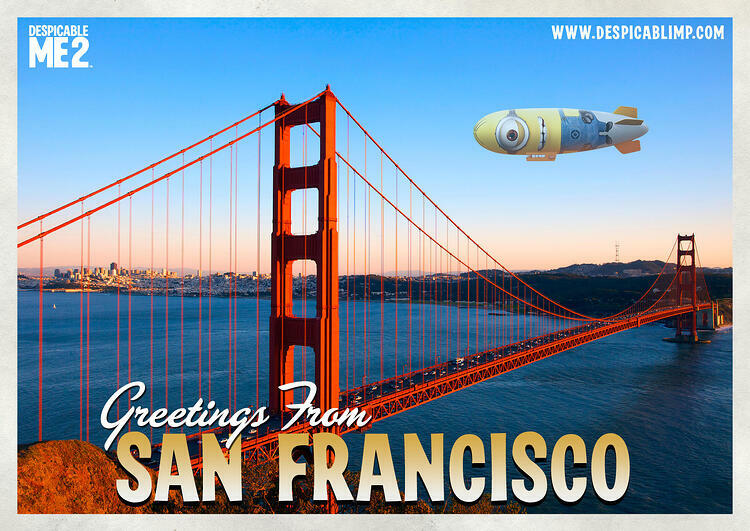 Media outlets across the country couldn't help but run a story about the massive floating minion in the sky above. Thousands of social media posts flooded Facebook, Twitter, and Instagram generating exponential impressions and even more buzz about the movie. Sadly, the blimp won't be making an appearance for the new film, but we have a special place in our hearts for it, and hope that it takes flight again soon! Take a look at some of our favorite TBT photos and videos of the blimp! The Despicablimp cruises over the U.S. Open. Thumbs up for the minions! 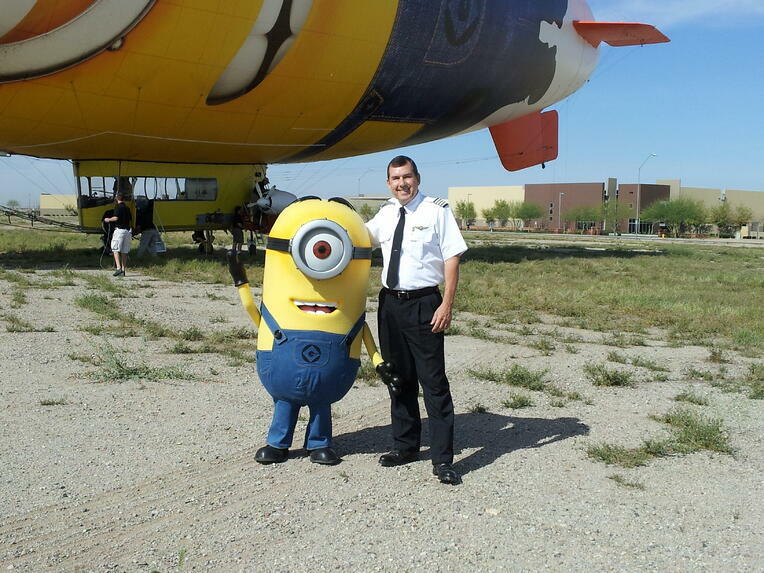 Despicablimp pilot, Allan Judd, meets Stuart the minion in real life! 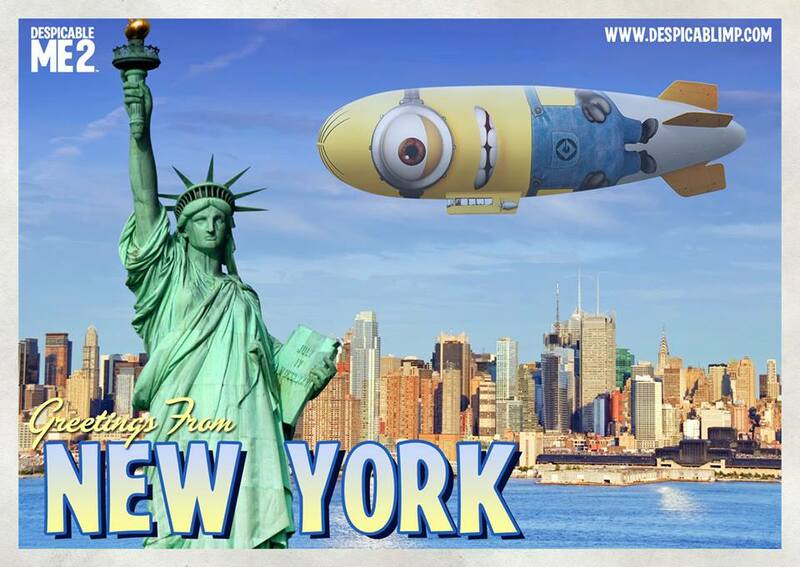 The Despicablimp takes on the Big Apple! Just taking a cruise over Manhattan. How the blimp was made in time lapse! A special shout out to our minion friends! If you have questions about the Despicablimp or Van Wagner Airship Group LLC's blimp advertising capabilities, click the button below.